The SDI4Apps team combines partners covering the entire chain from data providers, technological developers and geospatial data experts to end users. The consortium includes partners involved in living labs which will be part of the overall methodology for the platform integration and social validation. 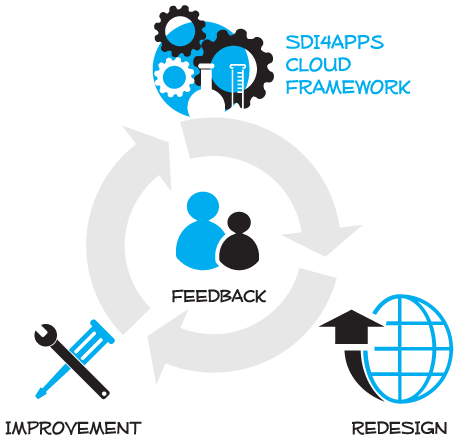 The living labs approach, as an essential building block of SDI4Apps, is aimed to structure wide-spread end-user participation in new technologies’ integration and adoption, and in research and new innovation activities.